Home loan interest rate issues can be confusing to some, especially if you have never purchased a home before. What should the typical borrower know about FHA home loan interest rates? There are several factors that can affect the rate you are offered and why. September 1, 2018 - Home loan interest rate issues can be confusing to some, especially if you have never purchased a home before. What should the typical borrower know about FHA home loan interest rates? 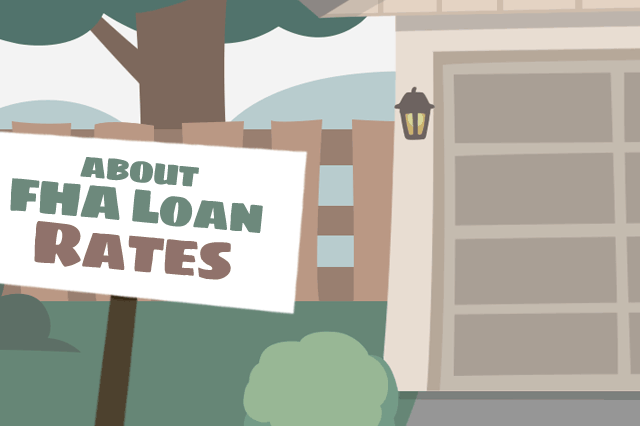 There are several factors that can affect the rate you are offered and why. The interest rate you see listed for an FHA mortgage online is subject to change daily. Some interest rates change more frequently than that depending on market activity, the lender, and other factors. Sometimes rates change because of breaking news about economic or even political issues-investors may flee for safer havens in troubled times and that investor activity can and often does affect mortgage loan rates (depending on circumstances). Know that this is a common occurrence and is not unusual or even surprising to those in the mortgage loan industry. FHA rates advertised online are usually listed as best execution rates, which assume a well-qualified borrower with excellent FICO scores and other financials. The interest rate your lender offers you will be based on your credit scores and other variables. The general numbers you see online may be current but may also be out of date depending on the time of day you are looking at those numbers and whether or not other market forces have changed things in the meantime. Someone who quotes you the going rate on an FHA mortgage is not promising you that rate will not change UNLESS you have entered into a mortgage rate lock commitment with a lender. This is done when you have found a home you want to purchase and are making a specific commitment to buy that property. A mortgage rate lock is not for those who are house hunting and not ready to commit to purchase. Mortgage rate locks protect the borrower for a specific amount of time from interest rate fluctuations; the lender is permitted to charge a fee for this service, but there is a minimum time required for the rate lock-in period.